You don’t need to always draw your Visio shapes from scratch. Just go to Google, type in the name of a piece, then click Images. The good news is that you can import these images into Visio and use them as shapes! The bad news is that a lot of images come with unwanted background clutter. This clutter can make a drawing look less professional, unclear and make it hard to look at. Very simple to do, but you can see that (despite my efforts to put thick, black lines around each shape) it still looks cluttered, and less-than-tidy. Wouldn’t it be nice to have the line drawing look more like this? This new, improved version was done using Visio, the .png image format, and a little bit of image editing! 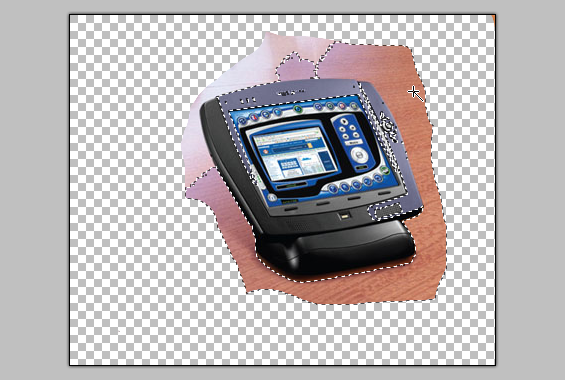 It is a little-known fact that Visio supports transparent backgrounds in .png files. This is easy to overlook, because folks often try to import an image via copy and paste, which results in a white background. But if you import a .png file with a transparent background from disk, everything works fine. I’d like to share with you a few tips and tricks that I use to clean up .png images for use as Visio shapes. Once we’ve got an image that we want to use as a shape, we’ll want to isolate–or clip–the image by removing the background junk. To do this, we need an image editor with capabilities beyond the Paint application that has shipped with Windows since the early 1400s. 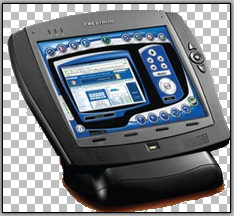 Two candidates that come to mind are the venerable, top-of-the-line Adobe Photoshop and the up-and-coming Paint.Net. 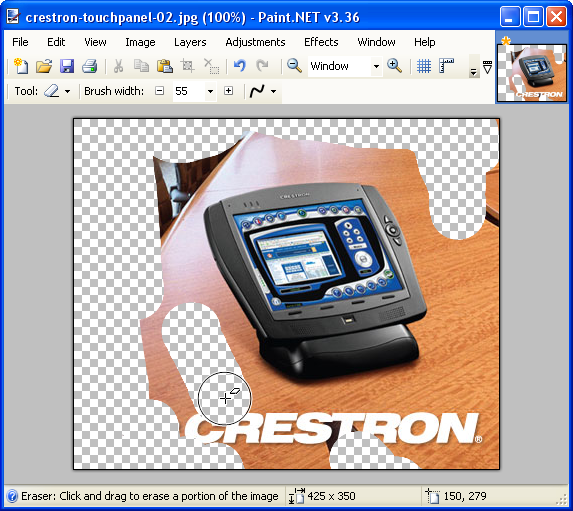 Paint.Net has less features than Photoshop, but it is free. Of course, Paint’s creators will gladly accept a donation if you find it really valuable to your work. At any rate, Paint.Net will suffice to get our images cleaned up, and many image-editors have features similar to those I will talk about today. The first thing I like to do is quickly and roughly erase the bits that are easy to get at. We don’t want to spend time zooming in and attacking pixels one-at-a-time, this is just a rough operation. The checker-board pattern that you see above represents “nothing” or transparency. When you import a .png file into Visio, the checkerboard areas will be see-through, which is just what we want. Once you’ve gotten rid of the rough bits, you can try using the Magic Wand tool to finish cutting out the outline. Magic Wands select similarly colored, contiguous pixels. If the background of your image is fairly consistent in color, and it is a different color than that of your subject, then the Magic Wand will really save you a lot of time. That worked pretty well–we’ve got a nice chunk of the background selected, and haven’t marked any of the touchpad itself. Now we simply delete the selection and try the Magic Wand on the rest of the background bits. So you’ll have to play around a little bit with the settings and stand ready at the Undo command. 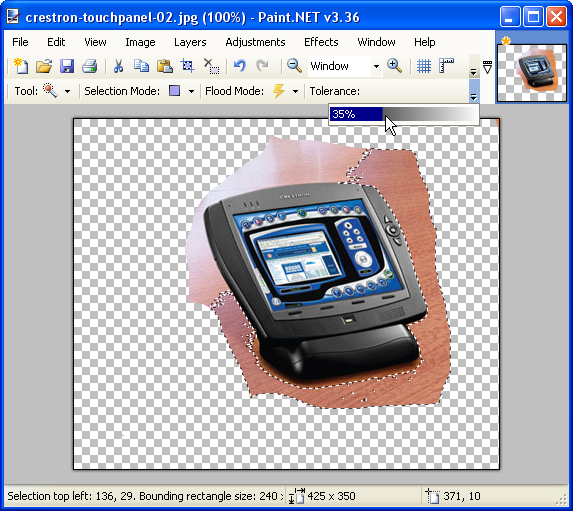 Some image editors have a way of selecting an area by drawing a polygon. I couldn’t find this feature in Paint.Net, so at some point I had to do some zooming-in to clean-up bits not taken care of by the Magic Wand or rough erasing. 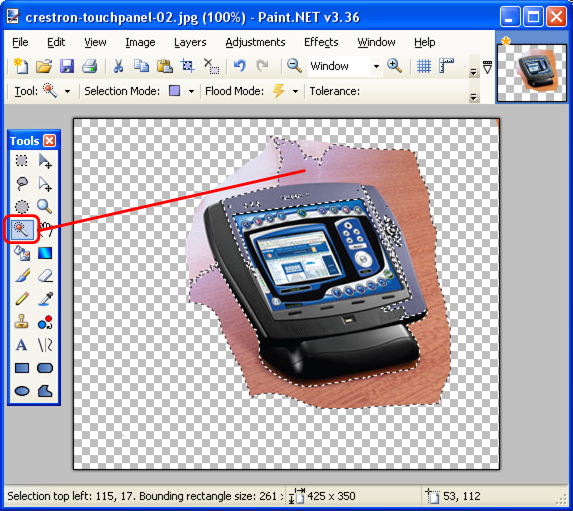 Paint.net has Rectangle, Ellipse and Freehand selection tools which will help in many instances, but a Polygon selection mode would have really come in handy. Now that we have isolated our image and gotten rid of the unwanted background, we need to crop the empty space around it. There’s no sense in wasting disk space for empty bits, plus it is nice to have our Visio shapes more closely match the boundaries of the objects they represent! The checkerboard pattern shows you where your image will be transparent, but it also makes small bits that you might have missed hard to see. After I dump the color, I note where the errant pixels were, quickly hit Ctrl+Z to undo the fill, then use the Eraser tool to get rid of the stray pixels. 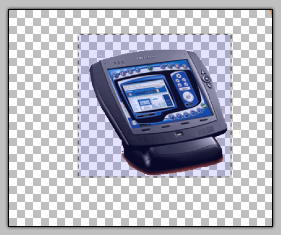 Now that we’ve got a transparent background, it’s time to crop the image to get rid of unnecessary extra space. 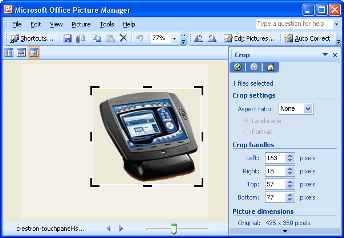 In Explorer, right-click the file and choose: Open With > Microsoft Picture Manager. You might not have Microsoft Picture Manager installed. It comes with Office 2003 and Office 2007, but I can’t say if it is included or not included with Office Standard, Pro, or Ultimate. You could also right-click and choose: Open With > Paint, but good ol’ Paint doesn’t seem to understand transparent backgrounds, or at least not very well. On my machine, the transparency just came in to Paint as black, which just made a big mess of everything! 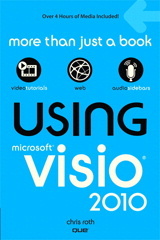 You could copy the image directly from your image editor into Visio, but you might lose the transparency information. I’ve found that importing images into Visio from files generally works better for a number of reasons, which you can read about in: Effects of Imported Images on Visio File Size. There are lots of other techniques for clipping images from their backgrounds, but I hope I’ve shown you a few, simple techniques that will help you quickly get the job done without having pull you away from your main business and retrain yourselves as Graphic Artists. Manual clipping & cropping can get better results but takes too long time. Thank you for the tips. Your step by step instructions were the best I’ve read on the Web. Great job! Try playing with the export settings when you Save As… a png file. There are settings for “background color” and “transparent color” that should help. The png image format is good for transparency. I am not able to see any of the images embedded in this and every article presented in this website. What do I need to do to be able to view the image? Thanks in advance for your timely response. I unfortunately don’t have time to help you track down browser issues. Hopefully somebody else has had this issue and can chime in with some advice. 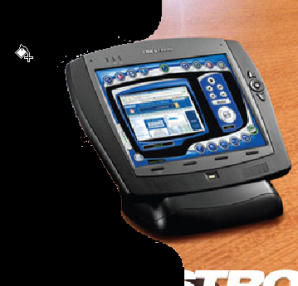 I am able to see all images in three different browsers. I do know that there is or used to be a turn-off image display for IE (to save bandwidth), but then you would have the problem with all other websites too! Thanks for your response. To add to my previous reply, I initially was using my Mac to access the website when I encountered this problem and so I switched to a Windows PC and I still had the same issue. I’ve never run across an option to turn off images, but then again every day is an opportunity to learn something new. Your right, if this option was set I would be having issues with other website images which I’m not. I’ll dig a little deeper and who knows it might be some sort of firewall or antivirus application that is blocking those specific images. I’d like to ask, what is the format or type of the embedded images within the website? That might give me a clue. Thanks again. 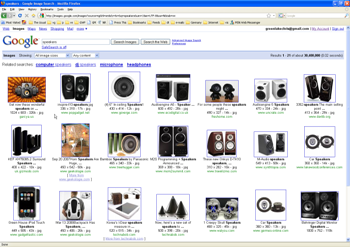 Hi to every single one, it’s actually a good for me to pay a visit this web page, it includes valuable Information. 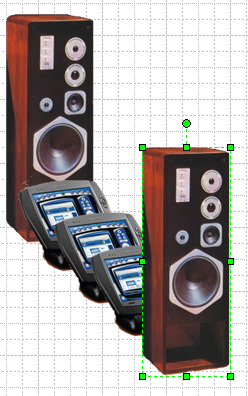 When I am saving a stencil image in visio as a .png it always gives me a background (a square). I can ofcouse choose the colour of the background. My need is I do not want the back ground at all. I just want the image with out the squarish background. But i want to save it via Viso only because it gives me the option to select the size and i need a 16×16 pixels png only. 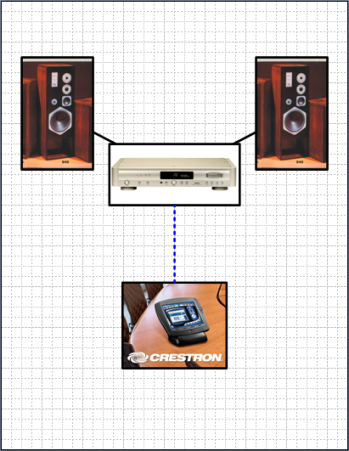 How can I set mount point on image? 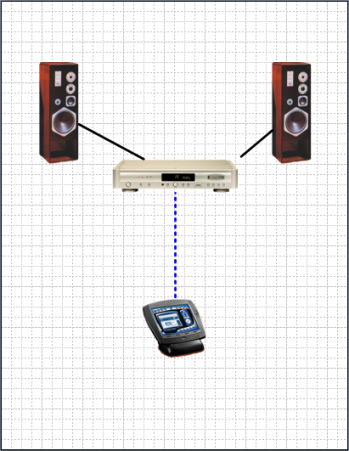 My image is transparent, but the Connector Line stops at the invisible square border. 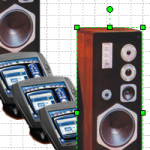 The connector algorithms in Visio certainly don’t examine bitmaps for transparency, even though they will try to find the edge of irregularly shaped vector graphics. You should be able to add connection points to your shapes. If there is a connection point reasonably near where the connector initially wants to go, the connector will snap to the point instead. Give it a whirl! 3. Ctrl + Click locations on the shape to add them. You can normal-click on points with the Connection Point tool to highlight them, so that you can move or delete them.